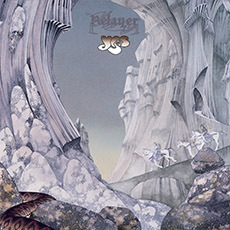 The third release in the series of YES albums to be issued in 5.1 & new stereo high-resolution audio configuration is… RELAYER. ‘Relayer’ was the band’s 7th studio album, released in 1974, and contains just 3 long pieces, including the ambitious 22 minute ‘Gates of Delirium’. 2014 Stereo and 5.1 surround mixed & produced from the original multitrack tapes by Steven Wilson. Mixed & produced from the original multitrack tapes by Steven Wilson. Mixed & produced by YES and Eddie Offord. The original stereo master, new stereo master & 5.1 mixes on this disc are presented as what’s commonly known as “flat transfers”. No further mastering or compression was added at the disc authoring stage to the original masters, as received from Rhino, or to the stereo & multi-channel recordings as mixed by Steven Wilson. Tracks presented in the ‘alt. album’ section have been transferred from the sole remaining sources & subject to comprehensive audio restoration. The insight into the recording process provided by these tapes more than compensates for any lack of high fidelity in the source material. ‘Relayer’ was the band’s 7th studio album, released in 1974, and contains just 3 long pieces, including the ambitious 22 minute Gates of Delirium. Mixed by Steven Wilson & released with the full approval of the band, Relayer will be available in CD/Blu-Ray & CD/DVD-A at the end of October. Restored artwork approved by Roger Dean & new sleevenotes by Sid Smith complete the package, the release of which coincides with the 40th anniversary of the album’s original late 1974 appearance. Please set YouTube playback to 1080HD to get the best quality playback and least amount of audio compression. Thankyou. How the World Learned to say YES. October 1968 looked grim: cold and grey, no hint of Indian summer. That, at least, was how Jon Anderson saw it. After six years of singing and writing and touring, Jon now found himself sweeping up the floor of Soho’s La Chasse Club, sleeping on it too. Frustration, disillusionment, depression such was the atmosphere of Jon’s life that colourless autumn (perhaps of rock music in general) when a happy accident introduced Jon, singer and songwriter and Chris Squire, bass player to each other at La Chasse. From this sudden encounter YES were born. Lots of work and much more courage, very little time and even less money, were the ingredients that Jon and Chris and their three original musical partners (long since departed to play elsewhere) mixed into the creation of YES. Rehearsing, revising, resounding night after day week in and month out, they knew they had to make or break. Their first public performance, at a South London college was a success. Their first out of town appearance at a Brighton youth club was not. “We died the death,” is the way Chris Squire puts it. Lesser men may be destroyed by rejection, incomprehension, indifference. Better men convert such negative response into the goad to action. And so it was with YES. They simply played on. It was in December 1968 that YES began to take off, not a sensational launch into the deep space of fame, rather a steady ascent toward the stars. YES appeared at The Royal Albert Hall in a supporting spot during the farewell performance of The Cream. This was the most sophisticated audience YES had vet encountered, an audience used to the best and so able to identify it. They identified it in YES, and rewarded the group with deserved attention. So did the press. In the summer of 1969 YES released their first record. It was appropriately called ‘Yes’. And the record buying public said “yes,” too. Thereafter, the group began to move a little faster to get around a little more. They were being heard. They were being seen. They toured Ireland. And in December 1969 the glaciers and valleys of Switzerland were reverberating with their live music as YES made their first continental appearance. YES had survived their first year, were playing better than ever, were now in demand. June 1970 saw the departure of the lead guitarist. And so Steve Howe joined YES. Steve was soon astounding audiences with his solo piece Clap Before long Steve and Jon were putting heads and hearts together to create the kind of music for which the group have become renowned. This partnership has grown more fertile, more imaginative with the passing years and continues with undiminished creativity today. 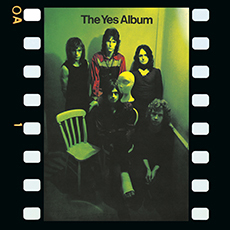 YES produced their second record, ‘Time and a Word’, in 1970, and their third, ‘The Yes Album’, in 1971. By 1971 the group could fill n hall anywhere In March of that year they undertook their first really intensive tour: America, of course. Upon their return to Britain, their keyboard player left. Then Rick Wakeman, already a star in his own right, joined the group, attracting a wider audience still for YES’s music. Another record appeared: ‘Fragile’. Throughout this period the style of YES’s music had been evolving, becoming more subtle and more complex. 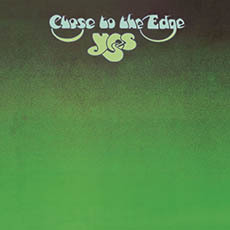 With the release of ‘Close To The Edge’ in 1972, YES were widely acknowledged as a unique and uniquely creative and serious group. 1972 also witnessed the departure of drummer Bill Bruford. At the time this seemed an insufferable blow. The group were on the eve of their second American tour. How could Bill Bruford ever be replaced’? These were days of apprehension, unrelieved tension, for this new tour of America would be critical. It is at moments like this that destiny would seem to stretch out her hand and lead her creatures out of the whirlwind. Alan White sat down at the drums and accomplished something remarkable: he learned the group’s entire repertoire in three days flat and then, exhausted, boarded a plane with YES bound for America. The crisis had been surmounted. Throughout 1973 YES toured Japan, Australia, America and Britain. As if that was not enough, the group also recorded and released a triple album, ‘Yessongs’, and ‘Tales From Topographic Oceans’. At the beginning of 1974 the group were back in America, this time even packing Madison Square Garden. Not content to rest, they toured Europe once more. Both tours were superbly staged with sets designed by Roger Dean, who had been creating the group’s record covers since ‘Fragile’. In June 1974 Rick Wakeman decided to leave the group, pursuing the rewards of a solo career. And so it was that Patrick Moraz became a member of YES. Patrick is a versatile musician who plays the violin, organ, piano, harpsichord and (of all things) the alpine horn. Although Patrick was born on an aeroplane, he came down to earth in Switzerland and so is the only non British member of the group. Today YES are acclaimed throughout the world. They stand apart from trends and fashions. They rise above the ordinary plains of pop. They are acknowledged as artists not only by the millions of fans who crowd their concerts and buy their records all around the world, but also by serious musicians and critics whose sympathies are usually reserved for the more traditional or conventional modes of music. They may be heard, for example, on the BBC’s Radio 3, where Mahler and Mozart and Monteverde are the usual sounds of almost any day. Education: St. John’s School, Accrington. Musical education: 12 years on the road with many good musicians. Career progress: Listening to lots of music. Started in brother Tony’s band ‘The Warriors’. With them for 5 years working in Britain, Germany Sweden. Formed YES with Chris Squire in 1968. Musical influences: Anything good and moving. Principal compositions: Wrote on all YES albums specifically ‘Close To The Edge’, ‘Tales From Topographic Oceans’. Favourite songwriter: Joni Mitchell, Steve Stills, Lennon-McCartney, Nilsson, Paul Simon. Favourite singles: ‘Stay With Me Baby’, Lorraine Ellison; ‘Good Vibrations’, the Beachboys, “Eleanor Rigby’, the Beatles. Most influential LP’s: ‘Sergeant Pepper,’ the Beatles; ‘Bookends,’ Simon & Garfunkel; ‘Inner Mounting Flame,’ The Mahavishnu Orchestra, and any of Sibelius, Stravinsky, Mozart, Ilhan Mimaroglu. Residence: Country home in Bucks. Family: Wife Jenny and daughter Deborah Leigh born 16th December, 1970, son Damian James born 22nd September, 1972. Awards: Gold albums for: ‘the Yes Album’, ‘Fragile,’ ‘Close To The Edge’, ‘Yessongs’, ‘Tales From Topographic Oceans’. Top Group in U.K. and U.S.A. in Melody Maker, 1973 and 1974. Top Songwriter with Steve Howe Melody Maker, 1974. and “Relayer” gold album 1975. Instruments: Martin Acoustic guitar, Rickenbacker 12 string, various percussion, pair of Zyldjan cymbals and Gibson ES 140 full-bodied guitar. Education: Hungerford Primary and Barnsbury Comprehensive. Career progress: ‘Syndicats’ 3 singles EMI; ‘In Crowd’ 3 singles EMI; ‘Tomorrow’ 2 singles, 1 LP EMI; ‘Bodast’ unreleased LP. Joined YES in 1971. Musical influences: All guitar music, and music in general. Own guitar compositions: ‘Clap’, and ‘Mood For A Day’. Favourite songwriter: John Dowland (1563-1626), Bob Dylan and Jon Anderson. Favourite single: ‘It’s Been a Long Time’, by Les Paul and Mary Ford. Most influential LP: Vivaldi; ‘The Four Seasons’ by Piero Toso, Evato STV 70679. Family: Janet and son Dylan, born August, 1969. Awards: Gold albums for: ‘The Yes Album,’ ‘Fragile’, ‘Close To The Edge’, ‘Yessongs’, ‘Tales From Topographic Oceans’. Top Group Melody Maker 1973, 1974. and “Relayer” gold album. Amplifiers: 2 Fender Dual Showman amps, plus Dueal Showman cabinets, with JBL Speakers, Fender Quad Amp, plus Fender extension cabinet, with JBL Speakers, Echoplex Groupmaster, plus show bud root pedals, plus assorted special effects. Education: Public school: Haberdasher’s Aske’s, Elstree, Middlesex. Career progress: Started in a band called ‘The Syn’ and formed YES with Jon Anderson in 1968. Musical influences: Too many to name. Principle compositions: Songs with YES. Favourite single: ‘Dancing In The Street’ by Martha & The Vandellas. Most influential LP: ‘Bookends’ by Simon & Garfunkel. Residence: House in Virginia Water, Surrey. Family: Wife Nicki and daughter Carmen born 1970 and Chandrika born February 1973. 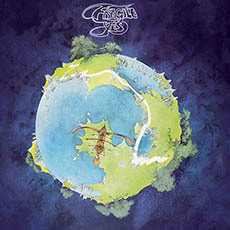 Awards: Gold Albums for: ‘The Yes Album’, ‘Fragile’, ‘Close To The Edge’, ‘Yessongs’, ‘Tales From Topographic Oceans’. Instruments: Rickenbacker: 2×4 string, 6 string, 12 string, 8 string. Fender: Telecaster 4 string; Jazz 4 string; Stratocaster 6 string. Gibson: Thunderbird; Ripper 4 string; Double-neck 4 string & 6 string; EBI violin bass 4 string; Melody Maker 6 string. ‘Guild Fretless 4 string; 12 string acoustic. Danalectro Longhorn 6 string, Ampeg 4 string stand up electric, Earthwood 4 string acoustic, Hohner Clavinet C, Kentucky Mountain Dulcimer. Musical education: Two or three rudimentary lessons, but mostly reading derived from piano lessons since the age of 6. Played drums on stage since 13 years old. Career progress: Included working with: Downbeats, Billy Fury and the Gamblers, Happy Magazine, Alan Price, Plastic Ono Band, Balls, Ginger Baker’s Airforce, George Harrison, Joe Cocker and various other artists in intensive session work. Joined YES in July 1972. Musical influences: Charles Mingus, Miles Davis, Beatles, Neil Young, Joni Mitchell, Sibelius, and Monty Python. Most influential LP: The big disc in the sky. Residence: House in the country and flat in London. Awards: Gold Albums for: ‘Close To The Edge,’ ‘Tales From Topographic Oceans’ and ‘Yessongs’. and “Relayer” gold album 1975. Instruments: Ludwig Drum kit includes; 22″ x 14″ Bass drum, 2 13″ x 9″ Tom Toms, 3 Timbalies; 14″ x 6,” 13″ x 6,” 13″ x 6,” 2 Floor Tom Toms 16″ x 16,” Moog Drum 8″ x 5%.” 4 Dresden Timpanies 23,” 26,” 29.” 32,” Janco Vibraphone, Jamaican Steel drum, Tubular Bells, RMI Electric piano, Mini moog, Set of Symphonic Gongs; 14,” 20,” 22,” 26,” 32,” Octaplus Drums; 8 various sizes, Crotales, 4 Roto- toms, Marimba, African Twanga, Ceremonial African drum, Square frame African drum, 2 Taboor African drums, log drum, 2 Cymbal Trees, 3 Ludwig snare drums; 14″ x 5,” 14″ x 6, 14″ x 5,” Gretch snare 14″ x 5.” Assorted Cymbals from 4″ to 24.” 3 Thunder sheets, Bell Lyra, 2 bell trees, cow bells and box assorted percussion. Gibson acoustic guitar, Guild Les Paul guitar. Education: Diverse Colleges in Switzerland and U.S.A.
Musical education: Violin, piano, pipe organ, harpsichord. Career progress: Formed Patrick Moraz Trio, Quartet, & Quintet and then Mainhorse. Joined Refugee 1974. Joined YES August 1974. Musical influences: Stravinsky, Jimi Hendrix, Beatles, Rachmaninoff, Stockhausen, classical music and modern jazz. Compositions: Music for 29 films; ‘La Salamande’, ‘The Invitation’, ‘Mileu du Monde’ etc., music on Mainhorse and Refugee albums. Favourite Singles: ‘Good Vibrations’, the Beachboys; ‘Hey Joe’, Jimi Hendrix; ‘With A Little Help From Friends’, Joe Cacker; ‘Killing Me Softly’, Roberta Flack. Favourite albums: ‘Sgt. Pepper’, the Beatles; ‘Electric Ladyland’, Jimi Hendrix; ‘The Rite of Spring’, Stravinsky; ‘Inner Visions’, Stevie Wonder. Favourite musicians: John Coltrane, Keith Jarret, Christian Vander, Jean-Luc Ponty. Favourite songwriters Lennon-McCartney, Frank Zappa, Stevie Wonder, Elton John-Bernie Taupin. Favourite singers Nina Simone, Joni Mitchell, Jon Anderson, Stevie Wonder. Residence: Home in London and studio and home in Geneva. Instruments: Hammond C3 organ, Fender 73 & 88 pianos, 2 String Thing Synthesiser, 3 minimoogs, D6 Clavinet, 2 EMS AKS. Synthesisers, 2 mellotrons, ARP PRO Soloist, Rhythm Ace drum machine, 2 Binson Echoes, Alpine Horn, Electronic Slinky, Grand Piano, electric Harpsichord. Awards: Gold Album “Relayer” 1975. Sound Mixer :I.E.S. 30 channel quadrophonic mixer with Eventide phasers and digital delay A.K.G. echo unit, custom built for Eddy. Sound System: Clair Bros. Stereo 4 way crossover-system. 20,000 watts for indoors and 40,000 watts outdoors, utilizing phase Linear and S.E.A. amplifiers, W Boxes, J.B.L. drivers and speakers. The lighting equipment used by YES was designed and built by Michael Tait. The total power of the system is in excess of 120,000 watts, and the main structure is supported by 2, “Air Lift” Pneumatic towers. The most important part of the system is in the controled board, radio controled remote operation, 2 programmed chasers, and stereo cigarette lighters. Assistants: Sandy Campbell and Tina Austin. Sound System by Clair Bros Audio with thanks to Roy Clair and Mike Roth. Lighting by Michael Tait assisted by Ian Peacock and Adam Wildi. Stage Design: Roger Dean, Martyn Dean and Clive Richardson. Guitars: Brian George, Claude Johnson-Taylor. Keyboards: Ray Palmer, Jean Ristori. Drums and Percussion: NuNu Whiting. Yes would like to give special thanks to: Premier Talent, Mike Phillips, Sam Li, Manny’s Music, Rotosound Strings, Ludwig Drums, C.P. Cases, Electrosound, Electrosonic, Rainbow Freight, Teddington Welders (Jim and Peter), Percussion Services, Gill and Bernie, and Atlantic Records Inc. When life speaks, its voice is music. Listen. Brave vibrations fill the air, throb through the earth, stir the still and moving waters. The wings of the crane beat the atmosphere with rhythm. The cricket chirps. Salmon leaps with salmon to the roaring falls of music. Forests never sleep. Oceans are never silent. Silence is a mere idea. But hearts beat time. Limbs harmonize. Brains drum on the very cymbals of existence. There is a universal course which reveals itself in music. Music is order and purest creation. For music plays us things beyond us, within us, without us. Music plays us things as they are. Music plays us things as they will be. There is nothing music cannot play, from the chuckle of the moon to the frightful diapason of the damned. Music embraces all: the All in everyone, the Everyone in all. Even the unseen worm creeps to the beat of music. When Man spoke, his speech was the invention of music. From the first blow of consciousness, music nestled implicit in Man’s mind. Music was there, an infinite lyre of feelings waiting to tremble at the touch of existence. And so Man must drum and pipe and sing. Man must resound. As Man must breathe, as Man must think, as Man must suffer, as Man must die, Man must make music. Music is the voice of life in Man. It is the voice life in you. All music is your music. All music creates you and re-creates you. And you create music. Through music, you are creator and created in One. Every atom of matter vibrates at its own frequency. Every element possesses a specific vibration. Molecules pulsate Cells quiver. Every event, every phenomenon, every object verberates and reverberates: winds, waves, sunlight, stones, thunder, mountains, flowers, falling leaves, germinating seeds, even the crust, even the core of the earth. Nothing rests. Rest is a mere idea. Everything quavers, quakes, flickers, fluctuates. Every grain of sand, every sun. Man receives vibrations from all of Nature and resonates himself, a huge guitar, uttering music. Spoken language was born this way: when perception or conception first thrilled through Man’s mind, it thrilled with musical frequency. The mind responded like a gong, struck by thought, sonorously repeating the frequency. This repetition we call “speech”. What is speech, anyway, but inevitable sound? But music is inevitable sound that communicates without reference. Speech must refer. Speech refers first to music, which it imitates; and then to actions or objects, which it indicates. Music suspends from no reference. Music is self-suspension. It needs nothing but itself. There are no objects in music. Music is all subjects. Music is itself the subject. Music is no object. You cannot clutch a harmony. You cannot stroke it like a piece of stone. You cannot touch it. It touches you. Music, then, is primal. It is the foremost the Arts. Other arts are shadows next to music. Music’s perfect abstraction from the material reduces all matter to rubble. Music recognizes no three-dimensional barriers. The most perfect bronze is imperfect next to music. Music cannot decay with time. No green patina can smother it. No locks can seal it, like diamonds, in a vault. Music cannot crack or warp or stain. It cannot wither. It cannot wrinkle. It cannot come to dust. It cannot be bought at auction or sold to a private dealer. You cannot put your hands on music. Music is at once priceless and valueless. The condition of music is supreme. No wonder, then, that music is magic. Circe’s magic. Calypso’s magic. The Sirens’s magic. The magic of Joshua and the magic of Gabriel. The magic of the Piper of Hamelin. It is every kind of magic. Silver trumpets summon dead pharaohs. Orpheus conquers hell with a lyre. St. Cecilia sings through a gash in her throat. Krishna Gopala rules his flock with a flute. Tezcatlipoca tips his smoking mirror and casts a spell with divine melody. These are sacred events. For music is above all sacred. Music and religion are inseparable. There has never been a tribe of peolpe anywhere – no matter how primitive – without music. There has never been a tribe anywhere without religion. There have been tribes without agriculture, without pottery, without writing, without the wheel, but none without religion or music. Just as religion addresses itself to feelings too deep for words – to the most human in most humans – so music is the means of that address. Religion and music appeal to the Invisible. Music’s invisibility is the visible evidence of its mystery. What, then – in the end, in the beginning – is music? When the mind speaks, it sings music. Music is the language of the mind. The language of Man’s mind. The language of the universal Mind. The very word music is the music of its meaning. MUSIC comes from the Greek, mousa (Muse), which itself derives from the Indo-European base, mendh – (to direct the mind). Mendh – is older still. It comes from the Sanskrit manas (Mind, Spirit) and manyate (he thinks). Music is mind. Music is the vibration of thought and feeling rippling through the mind. Music is the sound of reflection, contemplation, perception, reception, creation. It is active and passive, male and female. The true business of the mind is music. Music turns the thoughts away from transitory powers and perishing values, and in turn our thoughts make music. The expanding universe is a harmonious whole which implies the whole of music. The whole universe oscillates as an immortal note. There are no dischords. There is no disorder. Any dischord or disorder we may imagine that we perceive, is merely the invention of our own imperfect perception. Dischord and disorder are mere ideas. Order is there even if we do not know it. Music alone, perhaps, is perfect. The pursuit of music is the pursuit of perfection. Music alone succeeds. Where music succeeds, Man succeeds at his greatest. Not vast cities or empires glittering gold are the symbols of human achievement. Human achievement is universal. Human achievement is music – whether the tribal dance invoking the fertility of the fields or the grandest Mass scaling the walls of Christian heaven. Music is your voice. Music is the voice of life in you. When you travel beyond yourself, beyond your earth, beyond the center of the stars, you travel on music. Generations come and go to music. Music keeps the time of life. The subject of music is life. The subject music is mind. The subject of music is the universe. The subject of music is music. You are more than human when you let the music become you. Listen. You are in tune with space. You become the music when the music plays. So, listen. The air is full of music. You hear the music, now, for you are the music. And the music is you. where the worst must suffer like the rest. Pears are ripe and peaches falling. Suns are setting in the east. to the god’s that’s in them, and to the beast. Love is waiting for the lover. polishing the brains his bones release. Truth conceals itself in error. invent the future that invents the race. Although these videos are not included in the BluRay or DVD-A, while we are celebrating Relayer, we thought you might enjoy watching them here. Get the Definitive versions of 5 Classic YES Albums on Amazon: The Yes Album, Fragile, Close To The Edge, Relayer and Tales From Topographic Oceans. Remixed & Remastered by Steven Wilson in HD24-96 5.1 & Stereo, and also including the original YES/Eddy Offord mix, with a host of extra tracks.